This stunning moth case is part of a series produced by Frederick Parkhurst Dodd, arranged to show the beauty of insects. 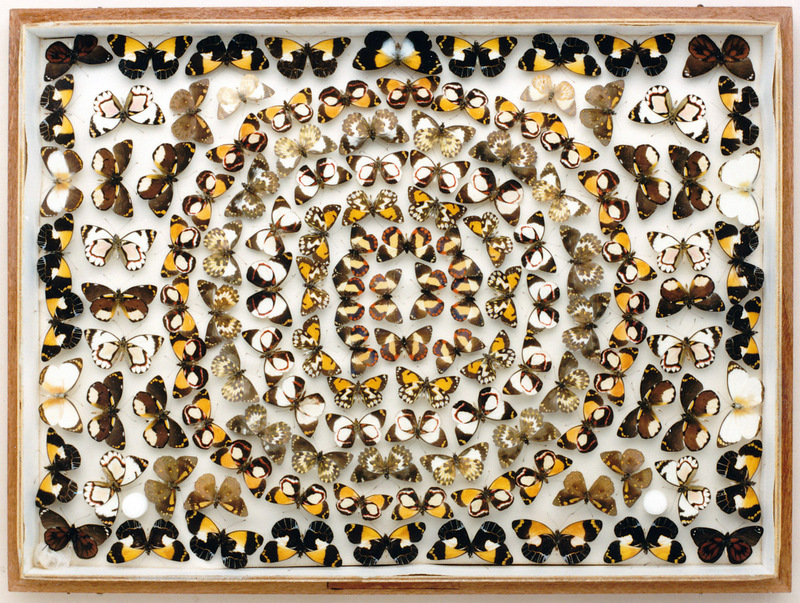 This stunning moth case is part of a series produced by Frederick Parkhurst Dodd, arranged to show the beauty of insects. In 1895, Dodd quit a banking career to pursue a life devoted to the study of insects. He supplied specimens to the museums of the world and wealthy private collectors of the Victorian era. Based in the tropics of North Queensland, he became known as the Butterfly Man of Kuranda where he developed a spectacular show collection of insects to tour Australia. This case is part of that collection which was donated to the Queensland Museum by Dodd’s daughters in 1987. The collection became the Queensland Museum’s first touring exhibition and was displayed throughout regional Queensland, interstate and New Zealand. I began work at the Museum as an Education Officer at this time and along with the Museum’s entomologist, Geoff Monteith, toured to the venues with the collection, conducting workshops on how teachers could use insects in classroom activities. We would arrive with a suitcase full of equipment and insects, quickly set up the workshop and covered a variety of hands on activities on collecting, pinning, classifying, experiments, art works and how to make live insect displays at school. It was a lot of fun, we met some enthusiastic teachers and students and hopefully, some of F.P. Dodd’s passion for insects rubbed off on them. To take care of this stunning moth case as part of Queensland’s DNA, click here. Caring for the mammal collection involves working with animals ranging in size from tiny mice to 15 metre Humpback Whales. While I enjoy whale watching from a boat, it is only when these animals strand on our coastline that I become involved to retrieve their skeletons for the Museum’s research collection. Standing next to an enormous beached whale can be a moving and awesome experience. Flensing it with a small knife in your hand can be daunting. The process usually involves the help of several amazing volunteers, a car winch and trailer and if we are lucky a helping hand from an excavator kindly on loan from a local council or nearby company. With a close eye on a rising tide and the inevitable sharks that move in with it, we remove as much of the blubber as possible and slowly release the skull and other bones from the mountain of flesh. Once off the beach and back at the Museum, the process of cleaning the bones of meat and oils can take several weeks or even months. Whale skeletons can be very large so we store them in a special warehouse where they are available to be studied by researchers or until they are needed for display. 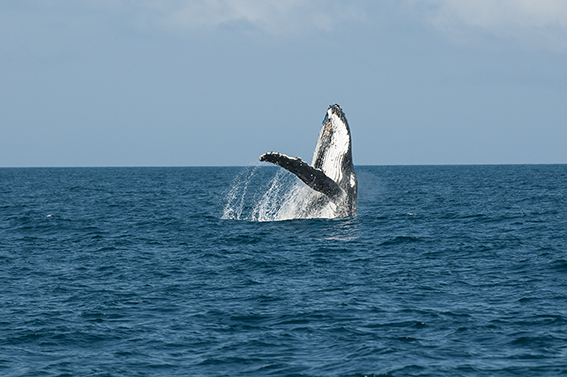 To take care of this Humpback Whale as part of Queensland’s DNA, click here. There is nothing quite like a cute fluffy face and large dark eyes to make your heart melt so studying mammals has a lot going for it. However to be a mammologist requires you to work when the animal is active and for a lot of our Australian mammals, that means having to venture out at night. Listen for movement or calls and sweep the beam of your torch around to pick up eye shine. Spotlighting an animal such as this Sugar Glider (Petaurus breviceps) makes the nocturnal wanderings all worthwhile. 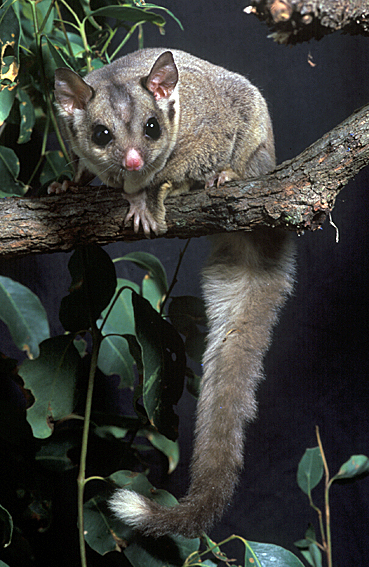 There are a couple of gliders about this size in Queensland but the blunt face and white tail tip distinguish it from the Squirrel Glider (although not all Sugar’s have the obvious white tail fur). Use a set of binoculars to get a better look at the animal but remember what it is like to have a strong light shining in your own eyes and move the spot away after a short while or add a red filter over the beam. To take care of this Sugar Glider as part of Queensland’s DNA, click here. To view all the items within Queensland’s DNA that can be cared for click here. Previous PostAnniversary of when QANTAS took flightNext PostEver wondered how an object becomes part of the Queensland Museum collection?